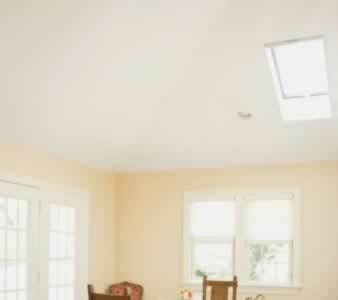 Installing skylights in your home is an easy way to increase the amount of natural light in your living space. They're commonly used in both remodeling projects and new construction. Whether you need to brighten a dark hallway or expand your views through a cathedral ceiling, skylights can transform your home by helping bring in more fresh air and sunshine. To learn which type of skylight is best for your specific needs, check out the highlighted articles below. Research all the top skylight window brands and learn more about the range of bow skylight window prices. skylight window colors are available. Find out what to look for in a skylight window installer and how to work with them in order to create the best results. Find out more about the energy efficient properties of insulated skylight windows and how they can save you money. Learn how to install skylight windows with this helpful guide. Find the proper way of cleaning skylight windows and repairing skylight windows. Research all your options and find the right skylight window accessories for your home. Get more details on how to measure your window opening and find the appropriate skylight window sizes you need. If you have a dingy hallway, a dark entry, or want natural light indoors without compromising privacy, a skylight can do the trick. As with an insulated window, a skylight can provide environmental benefits including solar heat. Design: You'll want to choose a skylight that blends well with your home's design and decor. As a rule, a skylight's size should not exceed 5 to 15 percent of your room's area. 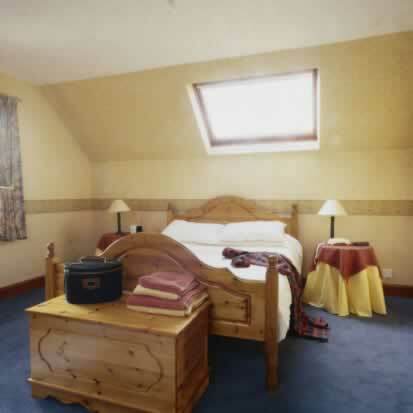 The more windows in the room, the smaller your skylight should be. Installation: Faulty installation of your skylight can compromise indoor climate control, resulting in water leakage and harm to your window insulation. If you're not confident of your ability to install a skylight, it's best to have it professionally installed. Materials: A skylight is typically made of either glass or plastic. Although plastic is less expensive, it can scratch and dull with age and exposure. 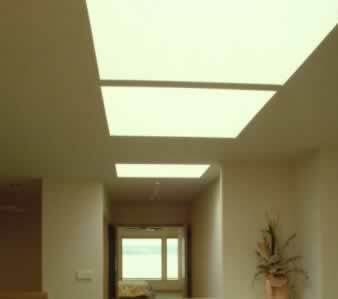 Glass skylight are tempered for durability and are not prone to scratching. Placement: Where you place a skylight is important, especially if you're installing a large skylight that can increase a room's temperature. Passive solar heat is produced by skylights depending on where they're positioned. Skylights placed on an eastern sloping roof provide heat gain in the morning, while a skylight facing west will provide heat gain in the afternoon. Slope: The slope of your skylight affects how much sunlight it will bring into your home. 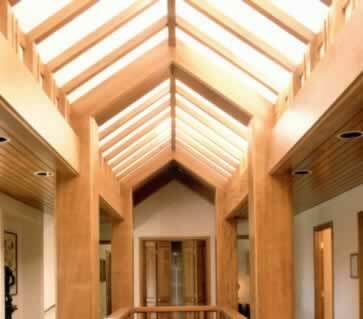 If you don't want additional heat, you can position a skylight where it's shaded by trees. In general, positioning a skylight at a slope of no more than 15 degrees more than your geographical latitude should provide enough light. Unlike an insulated window, skylights can be prone to leakage. Asking questions and checking references for installers can help ensure proper installation and enjoyment of your skylight.